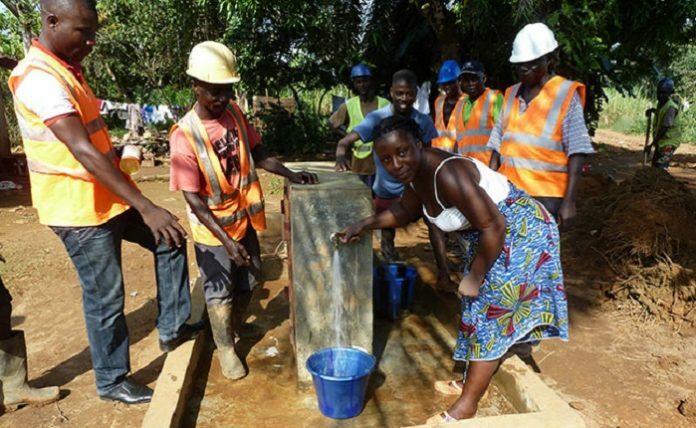 The recently completed US $40.49m Liberia Water and Sewer Corporation (LWSC) three-phase water project will boost supply to Greater Monrovia. According to Water, Sanitation and Hygiene (WASH) experts, the recently dedicated water facility will supply 16m gallons per day. It is also a significant boost to the water challenges of Monrovia and its environs. Project Manager of the Urban Water Supply and Sanitation Project (UWSSP), Gabriel Flaboe noted that the government of Liberia requested for an extension of the project twice. This was to make up for the lost time. According to Flaboe, prior to rehabilitation works, the water treatment plant treated and transmitted less than 5m gallons per day. The water system will now treat, transmit and distribute about 16m gallons of water per day. According to the Manager, LWSC recently requested to use the project proceeds to construct a booster station and reservoir in the Sinkor area. This is in an effort to improve water supply to central Monrovia. On the other hand, Flaboe points out that such facilities have limited coverage. As such, the ultimate solution to meeting all greater Monrovia water supply needs is to expand the White Plains works. In addition to increasing the capacity of the White Plains plant, he stressed that there is an urgent need to replace the two existing transmission mains. As a result of the aged pipelines, Flaboe noted that the LWSC has experienced several breaks during the last five years. This is attributed to increased pressure to supply more people in Monrovia. He also stressed that to minimize the possibility of breaks, the pressure at the water treatment plant would need to be adjusted downwards. This means lower available pressure for the distribution system.